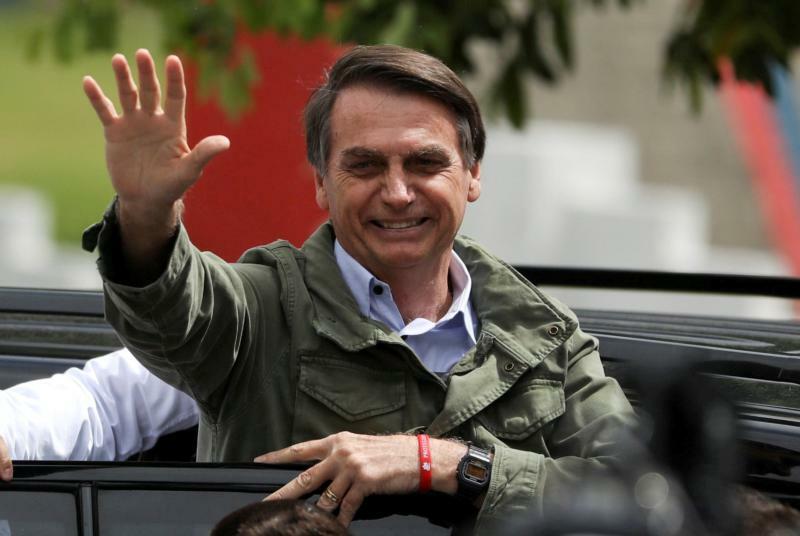 SAO PAULO (CNS) — Brazilian President-elect Jair Bolsonaro, a Catholic who campaigned to rid the nation of corruption, will take office Jan. 1 with a conservative moral agenda. “I want to thank God for this mission, because Brazil is in a somewhat complicated situation, with an ethical, moral and economic crisis. I am sure that I am not the most qualified, but God enables the chosen ones,” Bolsonaro told the media after his late-October victory, with a statue of Our Lady of Aparecida, Brazil’s patron saint, behind him. Bolsonaro’s victory has been linked to the support of the evangelical community in Brazil. Evangelicals today have a strong, activist voice in Brazilian politics and society, with the annual March for Jesus gathering hundreds of thousands on the streets of some of Brazil’s largest cities. Bolsonaro attracted these Christian devotees with his strong views on issues such as abortion, LGBT rights and traditional family values. But Bolsonaro also brought about waves of protest against his stance on gun control and gender issues. Critics say the country’s new president has views that are not in line with his faith. Bolsonaro, dubbed as a misogynist, inspired demonstrations against him in the last days of the campaign. “Not Him” and “Never Him” posters with the candidate’s face flooded streets throughout Brazil in the days before the election with women, LGBT supporters, indigenous, environmentalists and social activists stating that his victory would be a serious loss to Brazil’s social movements.